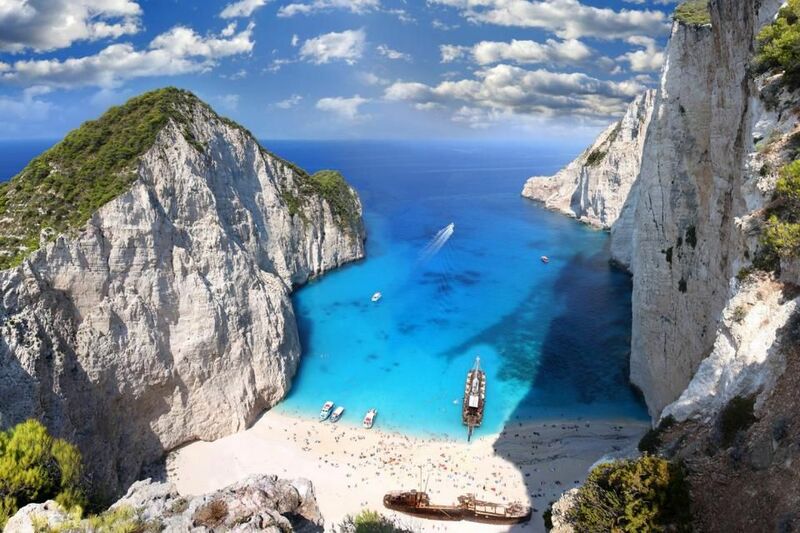 Zakynthos is a Greek island in the Ionian Sea, as well as a popular summer destination. The homonymous port city, capital and nerve center, develops around Piazza Solomos, on the seafront. At popular beaches such as Agios Nikolaos, Alykanas and Tsilivi you can swim and practice water sports. On that of the Navagio, reachable by sea, you can see the famous shipwreck of a ship wrecked in 1980, lying in a small sandy bay in the shadow of the cliffs.